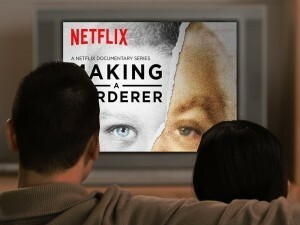 When Netflix’s crime documentary ‘Making a Murderer’ hit our devices and television screens in 2015, we were glued. We watched, genuinely interested and nosy like neighbors catching a glimpse into the house down the street that never leaves its blinds open. As the story unfolded, we still watched, growing ever more invested in finding out whether Steven Avery really was guilty or innocent of murder. Writers/directors Laura Ricciardi and Moira Demos lead us, step by step, into the trials and the lives of Avery’s family and even into his mind as we held our breath, annoyed as each of the ten episodes ended while eagerly pushing the play button for more. The documentary is the first of its kind. Its distribution style has never been seen before, with Netflix promoting the series by offering the first episode on its streaming service and Youtube. Audiences were hooked. The controversy surrounding Avery’s case and the human aspect at the center of the documentary is difficult to ignore. But then again, lots of documentaries touch on the same elements without achieving such a sensation. Was there another reason we tuned in? Yes. The horror of it all. Making a Murderer is the stuff of nightmares without the Hollywood gore from the make-up department. Filming didn’t utilize CGI or jump scares. Yet while watching, a human emotion takes over. We start to empathize with Avery, a man who was robbed eighteen years of his life as he was convicted for a crime he did not commit. The documentary makes a point to show that the justice system was not only at fault, but those involved in the indictment of Avery acted unethically towards that end, purposefully cornering the man and locking him behind bars. So is Making a Murder a horror film? Well, that depends. It certainly was not promoted that way. It is a crime drama documentary. But yet there are aspects of horror as it applies to the viewer. As audiences watch Making a Murderer, presumably while the kids are asleep, the hellish thought that we could be accused of a crime, taken from our homes and families, and sentenced to prison though we are innocent is a horrific scenario. 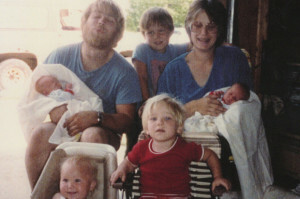 There are many instances where Avery himself says that he only wishes to stop the injustice that he has had to endure from happening to someone else. The documentary took ten years to complete, but for most of us only a handful of days to watch. 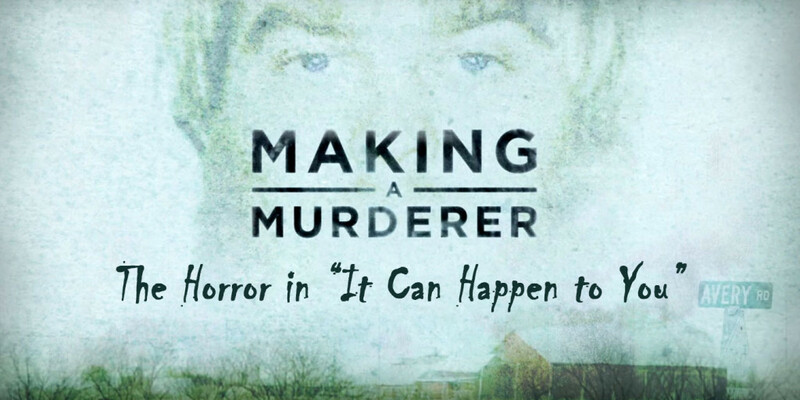 While to some Making a Murderer may not be seen as horror in any way, it may seem like horror to others. Some of the best horror in literature, media and film derive from our most innate fears. And without fear, there simply is no horror. Wikapedia. “Making a Murderer.” Wikipedia, the Free Encyclopedia. Wikimedia Foundation, Inc, 21 Feb. 2016. Web. 21 Feb. 2016. “Netflix.” Exec. Prod. Laura Ricciardi, Moira Demos, et al. Making a Murderer. Dec. 2015. netflix. Web 21 February 2016.